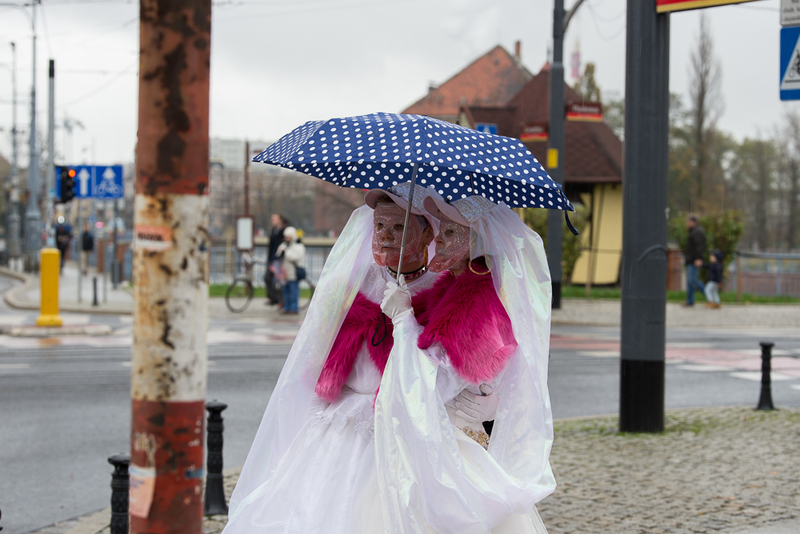 This performative work was commissioned by Arts Territory as a part of The Illusion of Return project. 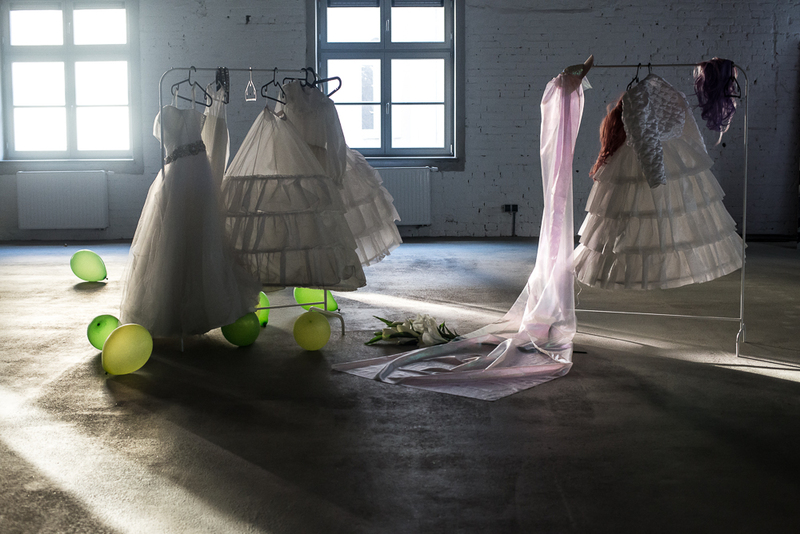 During her residency in Wrocław, Poland Katarzyna looked closely into local wedding customs and organised and filmed a traditional Polish wedding. 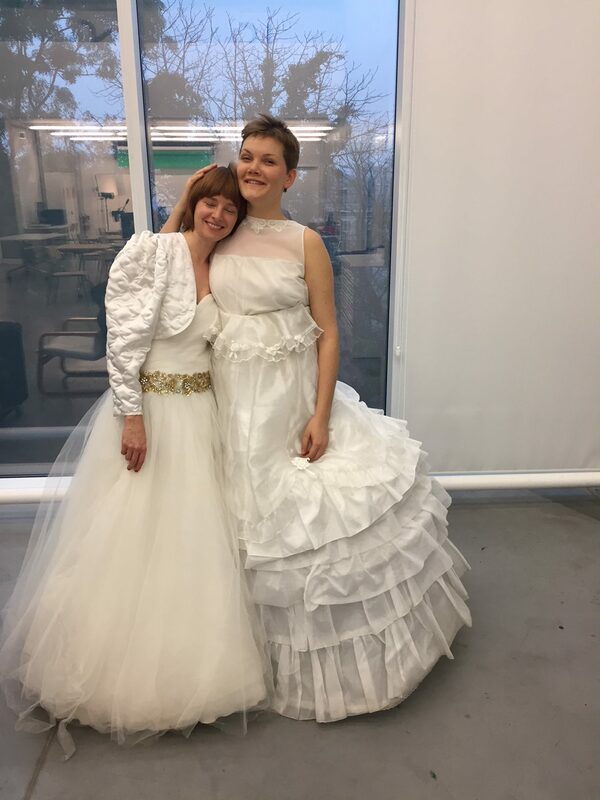 Playfully twisting the quite conservative reality in her home country, she created a utopian (for her) reality in which the wedding was to celebrate the marriage of two women (this is currently forbidden in Poland). 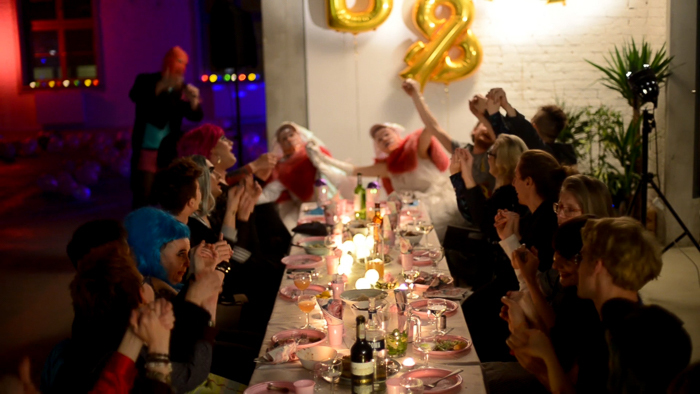 The performative wedding party of Katarzyna Perlak was a kind of collective performance. The wedding - an event - a spectacle, sympathetic, parade, full of joyous pomp, during which various identities, costumes and attitudes manifest, was not devoid of tensions, conflicts and social conventions encountering radical ideas. 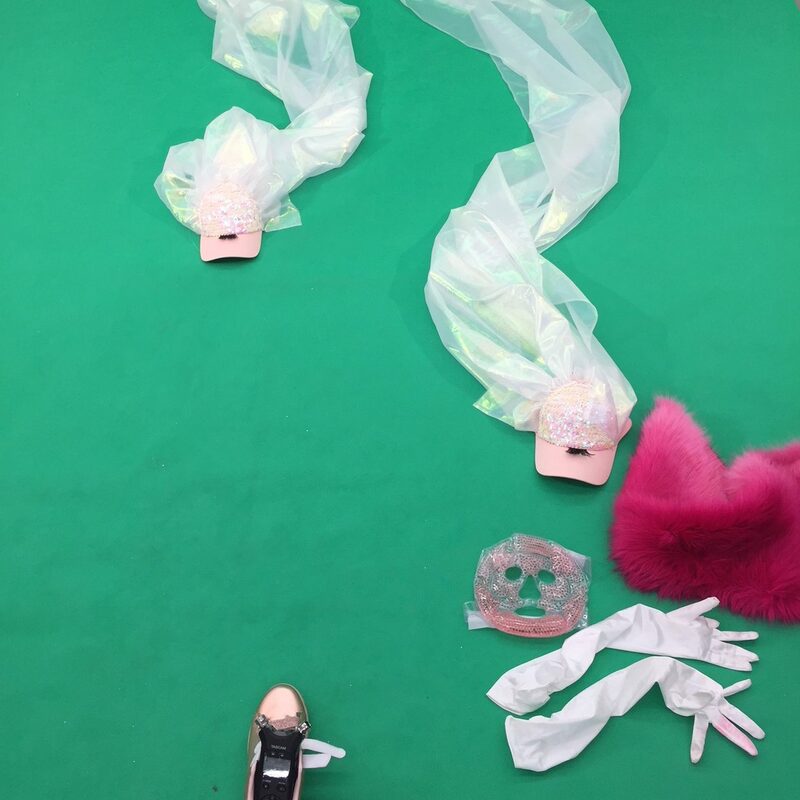 The performance referred to folk connotations, migratory experiences and the tradition of celebrating joy, ‘over the new way of life’. Everyone was invited to join the wedding feast. The event celebrated the wedding of Andyła and Bogumiła; it was led by Kuba Jankowiak. 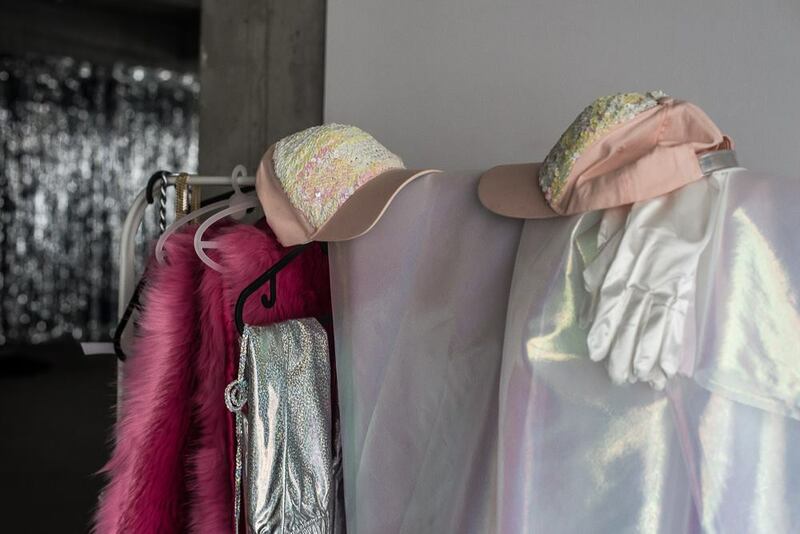 The dress code was orientated around bling, queer glam, hard femme and glitzy attire. 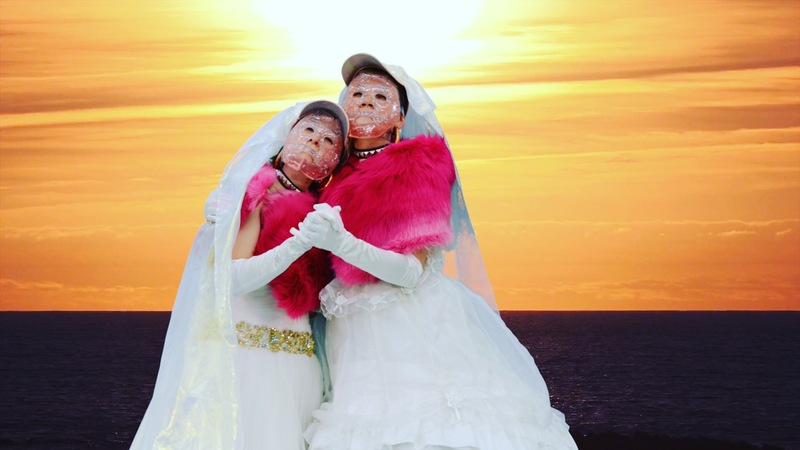 A complementary toast for the bride and groom was offered to the guests, and drag queen performances with accompanying DJ sets formed the reception party schedule. Supported by The Polish Ministry of Culture, National Heritage, Scholarship Programme and Arts Council England.